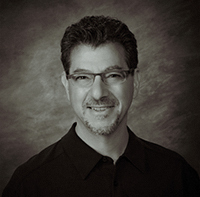 Angelo J. Gaz is Of Counsel with SoCal IP Law Group LLP. He has specialized in intellectual property law with a focus on patents since 1999. Before attending law school, Mr. Gaz worked for nine years as an electronics engineer for the Department of Defense at the U.S. Naval Surface Warfare Center. There he worked on U.S. Navy guided missile test equipment, shipboard combat systems, and shipboard combat system software tests and analyses. Following law school, Mr. Gaz practiced as a patent attorney in San Diego, Century City and Santa Monica California, working on various technologies for clients ranging from startups to some of the world’s largest companies. Angelo’s technical experience includes cellular phone hardware and software; Internet, Internet-of-things (IOT) and network communications; e-commerce and Internet applications; virtual reality and 360 degree video streaming and fields of view; cellular communications; integrated chip (IC) devices and fabrication; semiconductor fabrication equipment; IC package devices and fabrication; analog circuits and signal processing; digital circuits and signal processing; image processing systems and software; computer hardware and software; audio and video compression, coding and processing; x-ray imaging; x-ray and electron beam cancer treatment; photodetector devices and applications; optical, magnetic and ferroelectric data storage systems; medical devices; client-server systems; electrical and optical communication systems; electro-mechanical and mechanical devices; and consumer products.